Do you worry about getting enough fibre on your low-carb diet? Critics often cite lack of fibre to claim low-carb nutrition is not healthy. Is this a real issue? Fibre deficiency is common. Most adults get less than the recommended minimum, even on a standard diet. It gets harder on a low-carb diet, as you will eat less of high-fibre foods like fruit and grains, due to their high carb content. What is dietary fibre and why is it important? Fibre, also referred to as roughage, is the indigestible part of plants. Although not a nutrient, fibre is crucial for healthy digestion. It has several important functions for trouble-free passage of waste through your digestive system. Lack of fibre causes constipation in the short term. Over a long period of time, it can lead to serious digestive disorders like colon cancer and coronary heart disease. Fibre increases satiation, helping you feel full faster. 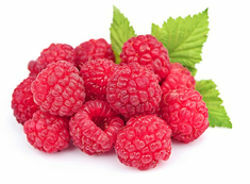 It can improve glucose tolerance and insulin response, making your low-carb diet more effective. Sufficient fibre consumption is also linked to good cholesterol levels and heart health. Are you getting enough fibre on your low-carb diet? The good news is, it’s easy to tell if your fibre intake is adequate. If you are not getting enough, your digestive system will respond immediately with a clear sign – constipation. This side effect is common on a low-carb diet. But it is easy to avoid. You can get enough fibre from low-carb foods. You just need to know what they are and include them to your meals regularly. How much fibre should you get? Dieticians recommend getting at least 18g of fibre per day. You can go up to 35-40g without any side effects. If you get too much fibre in a short period of time, your digestion will go the other way – with possible bloating, gas and diarrhoea. The perfect range for a low-carb dieter is around 25-30g a day. Fibre comes from plants. The highest sources of fibre are grains, legumes and root vegetables. Most grains and legumes are off limits on a low-carb diet. But some are low in carbs while also being high in fibre. All vegetables contain some fibre. Unfortunately, the ones highest in fibre, like root vegetables, also tend to be high in carbs. Most low-carb salad vegetables contain around 1-2g of net carbs. But there are some exceptions, that are both low in carbs and high in fibre. If you have at least 1 cup of vegetables with every meal, you can easily get about half of your daily fibre requirement from them. 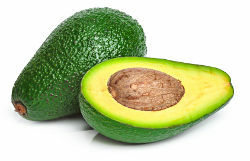 Avocados are full of healthy fats as well as fibre. Add avocado to salads, mash it and use as a spread, or make Mexican inspired dishes like guacamole. 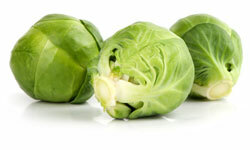 Brussels sprouts are packed full of vitamins A and C, and quite high in fibre. Brussels sprouts have a reputation of being bland, but that’s only if they get boiled to death. Don’t boil them – steam, fry or roast instead. Add plenty of fat to make a satisfying scrumptious side dish. 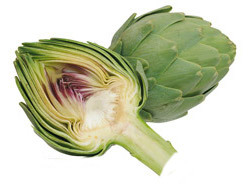 French artichoke is an interesting vegetable that’s very versatile. You can steam it, make soups and sauces, marinade it, make it into a dip and all sorts of other possibilities. Not to be confused with Jerusalem artichoke – which is a root vegetable and is much higher in carbs. Berries are a perfect low-carb treat. Most of them are reasonably low in carbs. 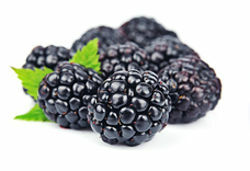 The ones highest in fibre are raspberries and blackberries. Eat them on their own, jazz them up with whipped cream, or try a low-carb berry recipe. Now we are getting to real fibre treasures. These seeds and nuts are much higher in fibre than veggies and berries, although not as easy to incorporate into your daily meals. Flax is a popular ingredient for low-carb baking. Try making low-carb flax bread or crackers. 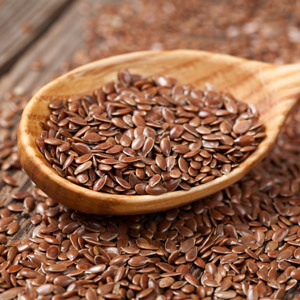 You can also add flax to your smoothies and salads, and sprinkle it on other foods. 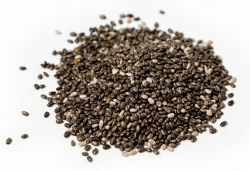 Chia seeds are becoming very popular thanks to their stellar nutritional profile. Try a chia seed mousse or use them in baking. Almonds are a low-carb superfood. You can have them whole as a snack. Or use ground almonds for low-carb desserts and baking. Psyllium husk is the ultimate high-fibre champion. Unfortunately, it is pretty hard to eat on its own (sawdust comes to mind). The easiest way to add it to food is by using it as a low-carb baking ingredient. It binds moisture so it helps to improve the texture of low-carb baked goodies. The simplest way to add fibre to your diet is by taking supplements. There are plenty of brands and products to choose from. Psyllium husk powder is one of the best options. Although very high in fibre, it doesn’t cause bloating or any other embarrassing side effects. Dr Atkins recommended psyllium husks and ground flaxseeds to supplement fibre on Atkins Diet. Is Truvia sweetener ok for low-carb diets?